Let's Scream For An Ice Cream Theme/Unit! Mmmm, there isn't a better summer treat than icecream! 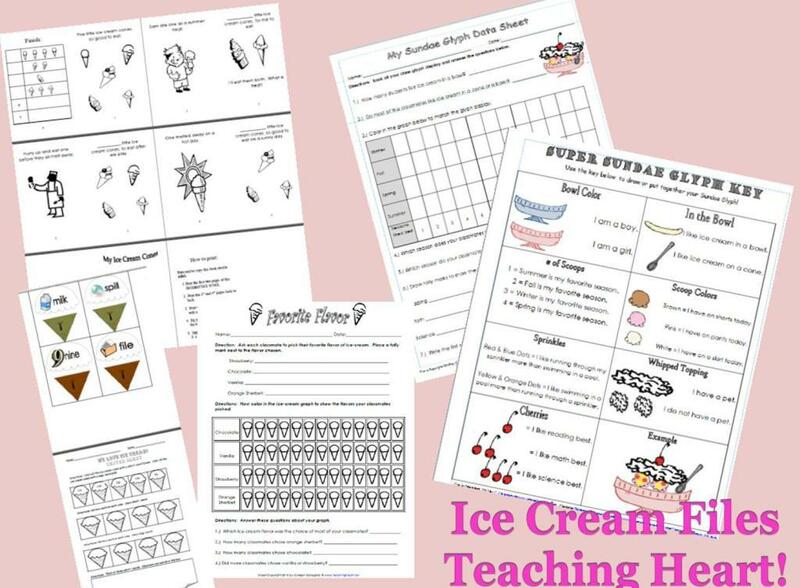 Here are lessons, ideas, printables, and more for an icecream theme or unit! 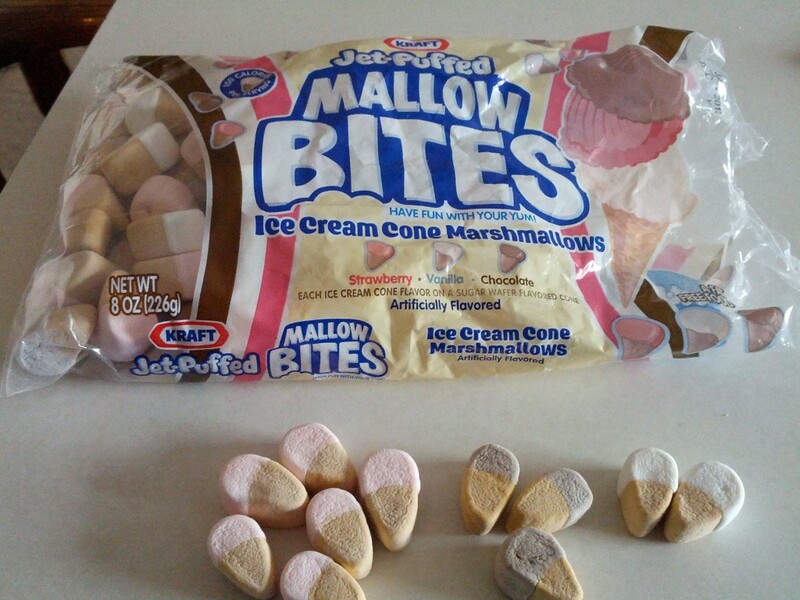 Some Interesting Ice Cream Tid Bits!!! Americans consume a yearly average of 23.2 quarts of ice cream, ice milk, sherbet, ices and other commercially made frozen dairy products. The Northern Central States have the highest per capita consumption of ice cream at 4.17 quarts. The top three ice cream eating cities are: Portland, Oregon; St. Louis, Missouri; and Seattle, Washington. Ice cream consumption is the highest during the months of July and August. eat more ice cream than any other age groups. The average number of licks to polish off a single ice cream cone is 50. 98 percent of all American households purchase ice cream. 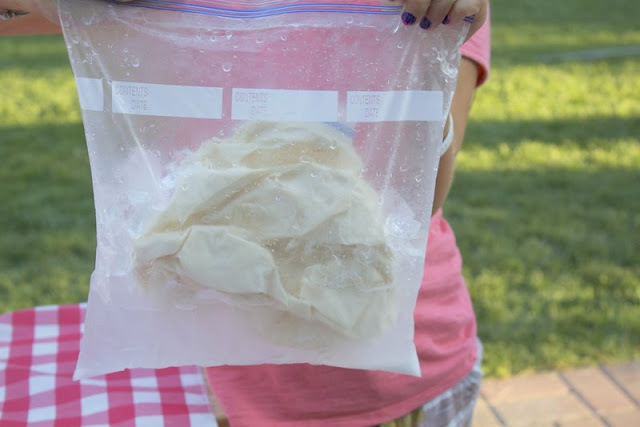 Make Ice Cream in a Bag With Your Class! Mmmmmmmm!!!! done this or do you have the recipe for it? TIGHT and place larger zip lock bag with the ice and salt around it. smoother activity! Great for a quick math lesson. 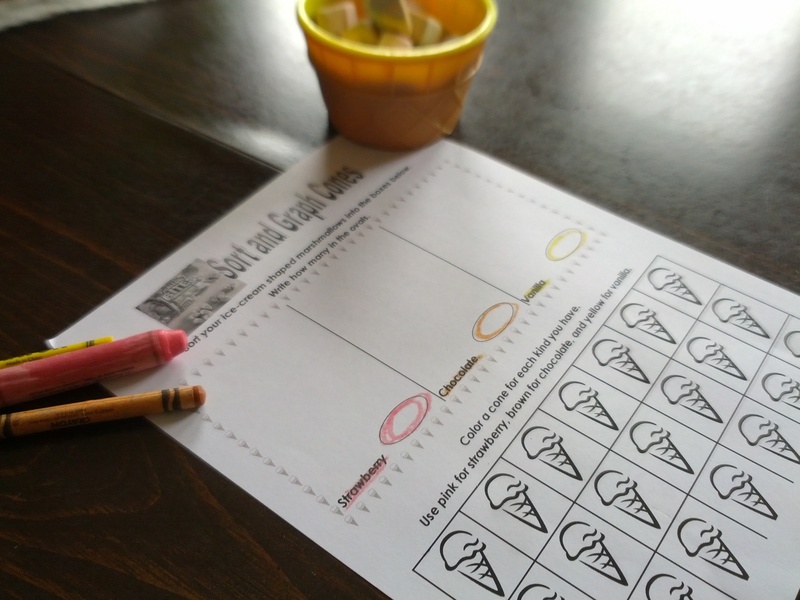 icecream.html - A lesson plan on matter. kids in my class so I use 3 cans of ice cream mix at a time. Check out Dandee for more great tips with pictures! Click a book to learn more at Amazon! Lying there (sniff) on the ground. 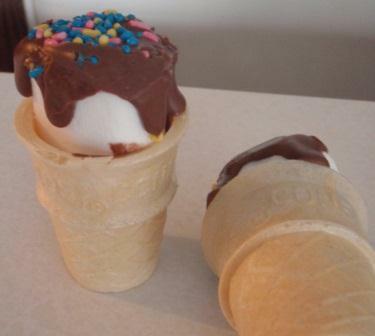 Five little ice cream cones so good to eat. The first one said, I'm a summer time treat. The third one said, I'm melting away. The fourth one said, don't lose your top. The fifth one said, oh dear, ker-plop! I also see they have them online here. 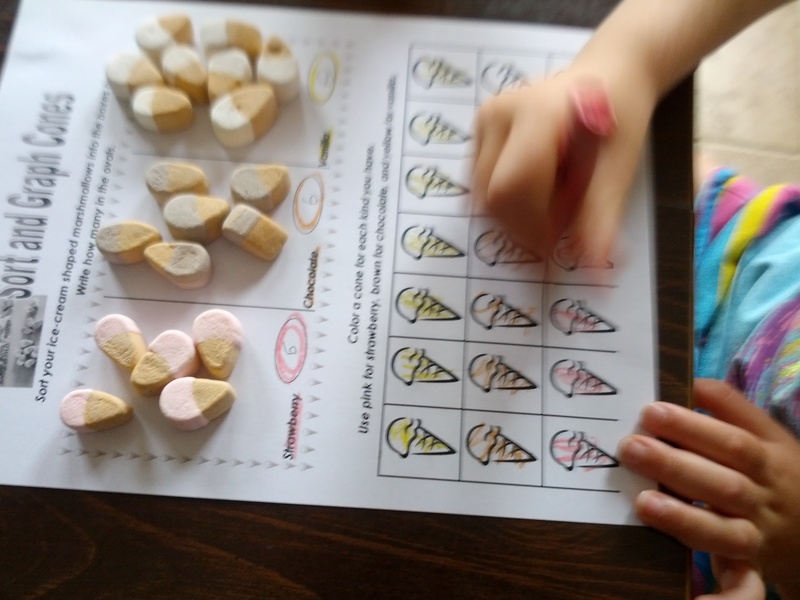 I made a sorting sheet and graphing sheet for my six year old to complete. Shes learning and having fun at the same time. Great way to throw some summer learning in!!! You can download the sheet and use it with your kiddos or class too! It would be fun for a back to school activity. 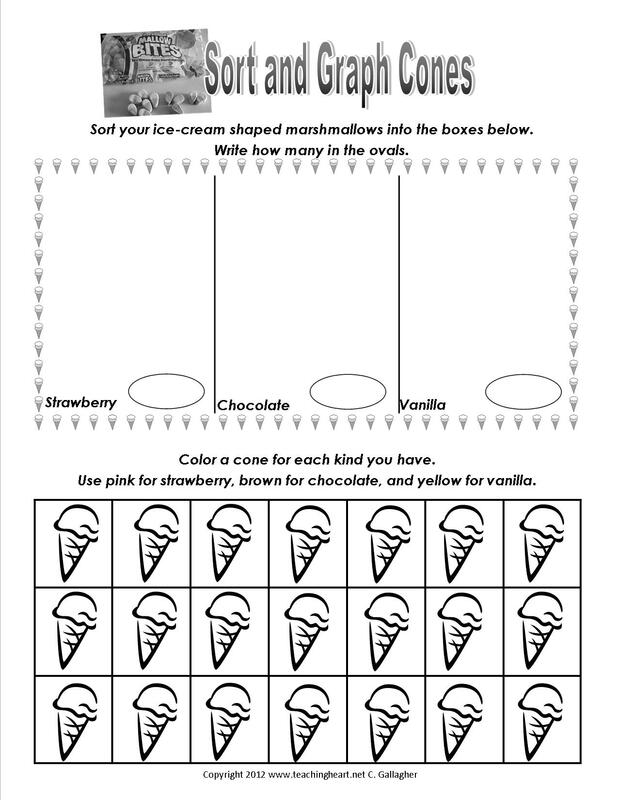 Click to download the Ice-Cream Sort and Graph Sheet. 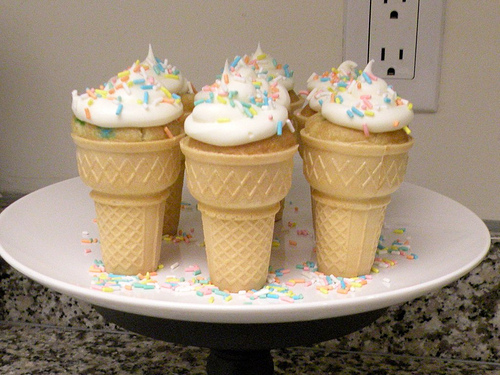 House of Hepworths Shares this AWESOME Tutorial on How To Make Icecream Cone Cupcakes. This is the best set of tips I have seen... Check it out! Here you will find everything you need to make a take-it-to-you-seat-center that will help your students identify long and short i. You may place this center in a manila envelope or Ziploc bag. Make as many centers as needed. To make the center, print the file on cardstock. Laminate the pieces. Place the pieces in the envelope. A center sheet is provided. You may choose to have your students complete this sheet when they finish the center. The graphic on your right shows what the manipulatives look like. The bottom sheet is what the students would complete after they finish the center. See Below to learn more about the packet this activity is found in. Student fills in the number word and colors the book. When they are finished they will have a mini book to share with an adult. This includes a ready to print key for making the glyph. Place the students name under the glyph on your display. Also display a copy of the glyph key on the display. When the glyphs are displayed they become a center where your students can practice glyph reading. A recording sheet is provided below. The student would fill in the recording sheet while looking at the display. Student graph classmates favorite flavors and then answers questions about the graph. activities to warm up your May-June Teaching! An eight page mini book for your students to write in, color, and illustrate. A wrapper you can wrap around a candy bar. Give the candy bar to your class as an end of the year reward. You can personalize the candy bar wrapper with your name and name of your school. A certificate that can be given to any student in your class at the end of the year. Includes a label for your kit and a recipe card to place in the kit. Give your students a container of Play-Doh, a cookie cutter, and a recipe for making more Play-Doh. I wrote a little poem to go with this end of the year gift idea. Also included is a recipe card for Play-Doh. Print these two things and attach to the gift. Materials supplied to create a computation review game. Just print, laminate, cut, and play. Materials supplied to create an antonym review game. Just print, laminate, cut, and play. Similar to erase a rhyme, student must listen to or read a rhyme and then complete a task. A cute emergent reader about a Bears day at the beach! The last page is an activity page. Student cuts out pictures and glues them to the graph. The student answers given questions about the graph. Materials needed to make center. 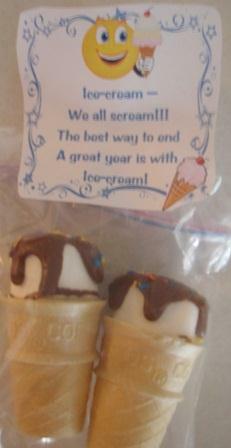 Student must match a picture on an ice cream scoop to a long or short i on an ice cream cone. An independent center sheet is provided for your students to complete. This includes a ready to print key for making the glyph. Also includes a glyph data sheet for your students to fill out once the glyphs are displayed. These are word files that will be sent to you in Zip Format via email. This is an instant download. Directions for easy download will be sent right after you place the order. Thanks! 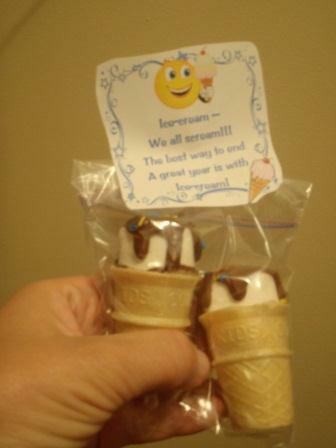 students home with after you finish a unit on ice cream? is topped with chocolate and sprinkles. I know, cute!!! For more fun End of the Year Treats from the Teacher to the Student - click here! 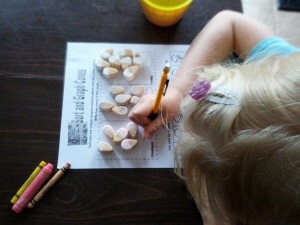 Teaching Heart Strawberry The Blog! All Content contained of the pages within this website is copyright Teaching Heart 1999-2013 by Colleen Gallagher, all rights reserved.